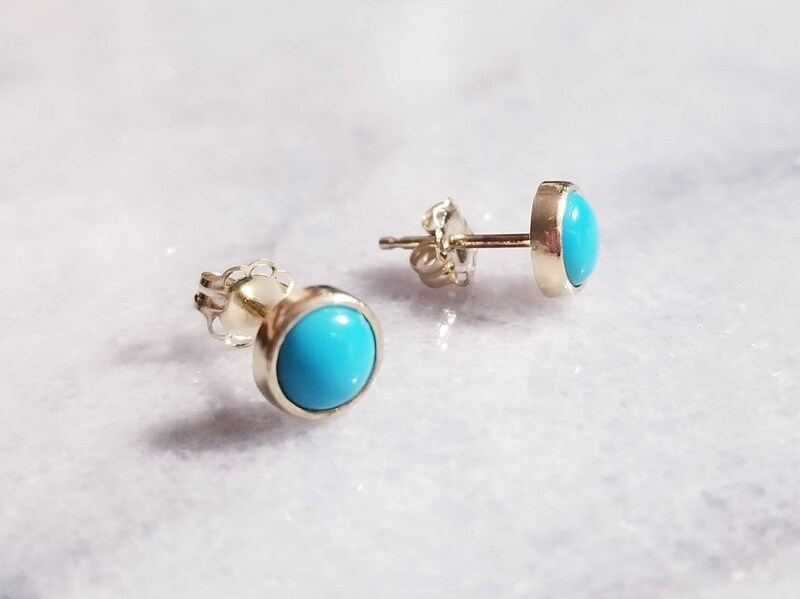 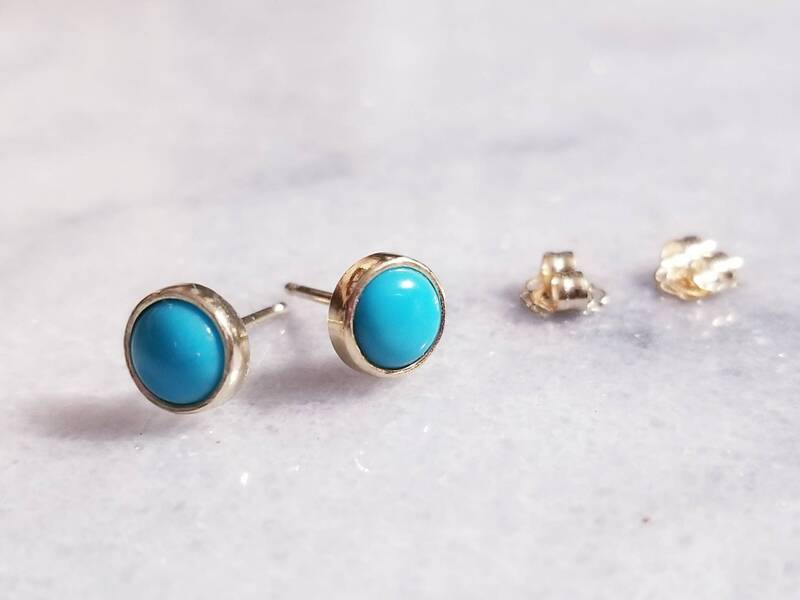 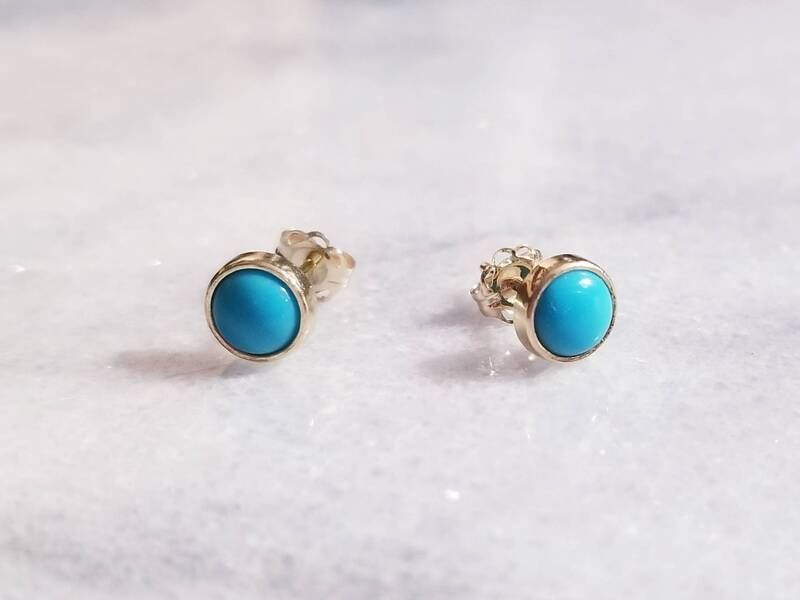 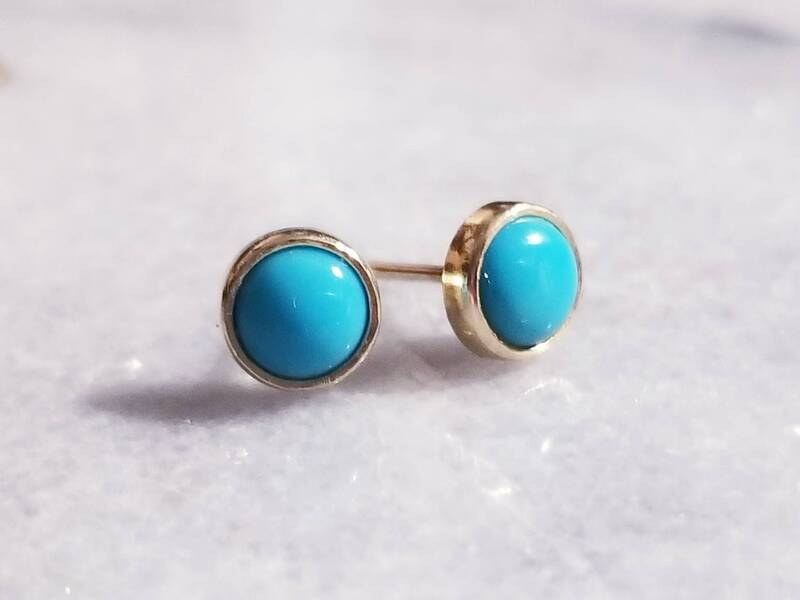 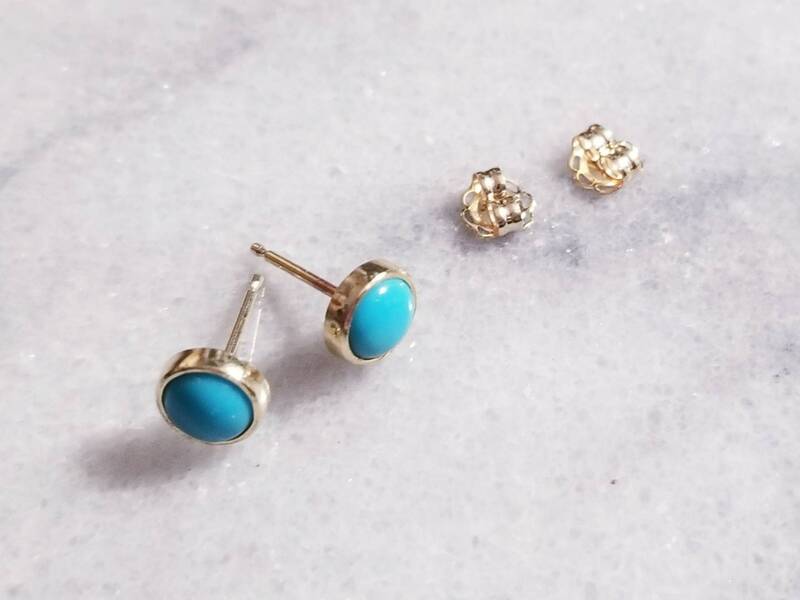 I set the 5mm American mined Bluebird turquoise stones in substantial 14k gold bezels with open backs. 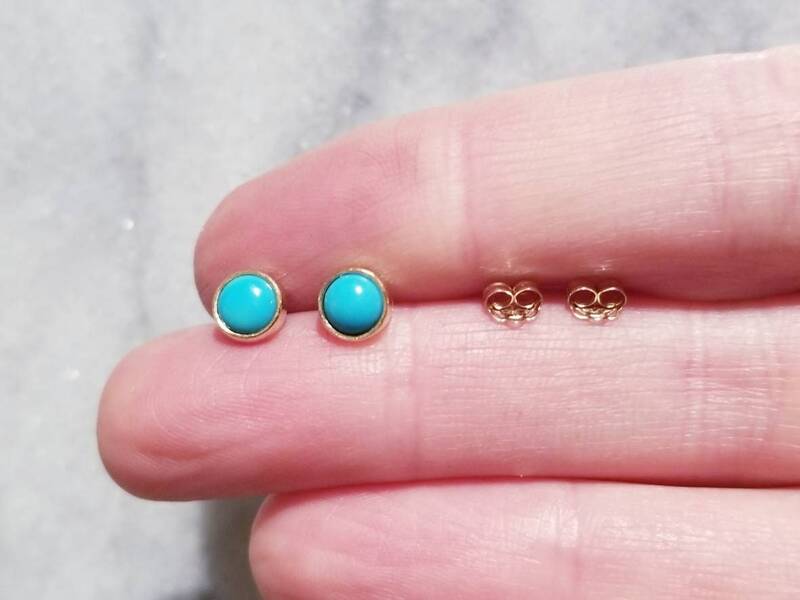 The posts and backs are solid 14k gold as well. 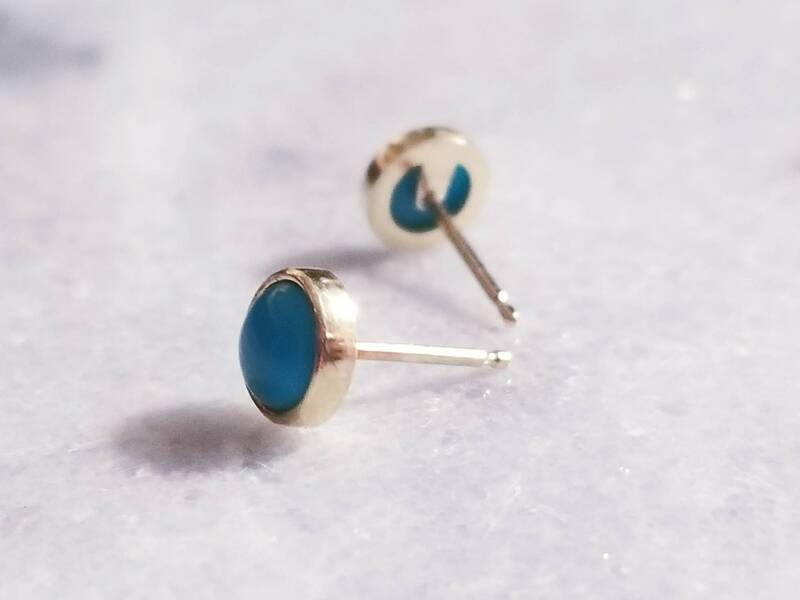 These earrings are subtle and elegant, and the beautiful cheetful blue of the stones makes them quite noticeable.